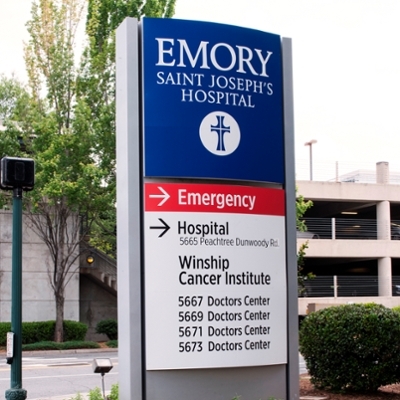 Winship Cancer Institute of Emory University has expanded access to its high quality cancer care in alignment with its broad clinical research program at both Emory Saint Joseph's Hospital and Emory Johns Creek Hospital. In addition, Winship has established the Winship Cancer Network as a means to improve access to such vital services throughout Georgia and the Southeast. Longstanding and continued support from the Robert W. Woodruff Foundation has enabled Winship to advance cancer care and access to services like these for tens of thousands of patients throughout Georgia and beyond. In addition to expanding services at Emory Saint Joseph's Hospital and Emory Johns Creek Hospital, the Woodruff Foundation’s most recent grant will be used to expand and improve Winship’s Shared Resource portfolio with special emphasis on its Cancer Prevention and Control Research Program. Researchers in this program are continually evaluating the best methods to reduce and eliminate the development of cancer among high risk individuals across Georgia and the Southeast. "Winship would not be the national leader in cancer care and research that it is today without the generous support of the Woodruff Foundation," says Walter J. Curran, Jr., executive director of Winship. "This most recent gift will allow us to extend the reach of our expertise and knowledge farther into communities around the state of Georgia, ultimately, benefitting anyone in need of cancer services."